"And what he greatly thought, he nobly dared." 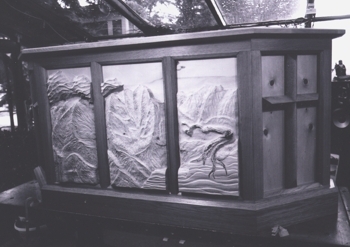 The body of the Altar is made of White Oak. The wood is incredibly strong and tough. The Altar is joined throughout with mitred and housed mortise and tenon creating a wood structure unsurpassed in strength. 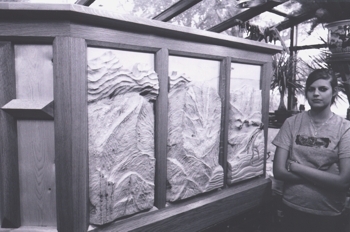 The front panels are filled with a slab from a 350 year old Ponderosa Pine, killed by the beetles. 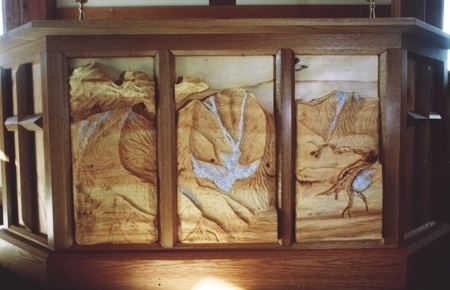 The carving is a deep relief of the mountain range seen from the Chapel steps - Mt. Ypsilon centered with a y-shaped snowfield, shaped like a descending dove. 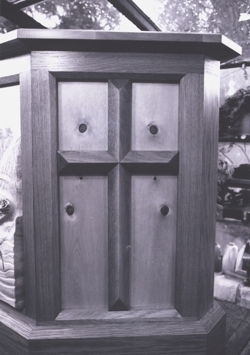 The side panels have crosses proportional to the main cross, beveled and attached to the main frame with dovetails. 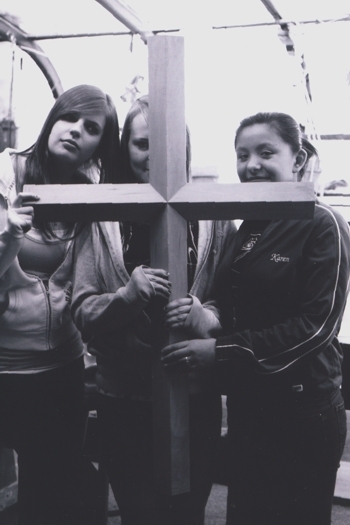 The crosses are backed by the 350 year old pine material back matched. 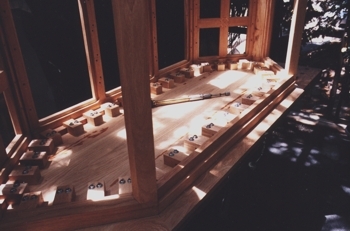 Top joined to base with floating buttons allowing free wood movement.